Even if for a while it seemed that the Uncharted movie was coming along nicely, and that it would be hitting the theatres sometime in 2016, fans of the video game series surely were disappointed when Sony removed the film from its release schedule, meaning it was now unknown when (or if) we would get to see an Uncharted movie. But thankfully new details have emerged about the movie thanks to its lead writer Joe Carnahan, who was recently interviewed by Collider. In this interview, Carnahan says that the movie would feature “big action stuff”, and that the film makers were not aiming to create an Indiana Jones-style movie. And in a way this is refreshing, as Spielberg’s Indiana Jones films have been the template for so many action movies, even if the Uncharted games definitely had an Indy-style vibe. Carnahan also said that he was not going to write the game’s protagonist Nathan Drake and his pals like Sully as good guys. “He [Nathan Drake] and Sully are not good guys but they’re better than the bad guys”, said Carnahan in the Collider interview. This might not be to Uncharted fans liking though, as the likes of Nathan Drake and Sully might be into thieving in the games, but Drake in particular was still a charming rogue and a likeable character, and it’s clear that his heart was always in the right place. 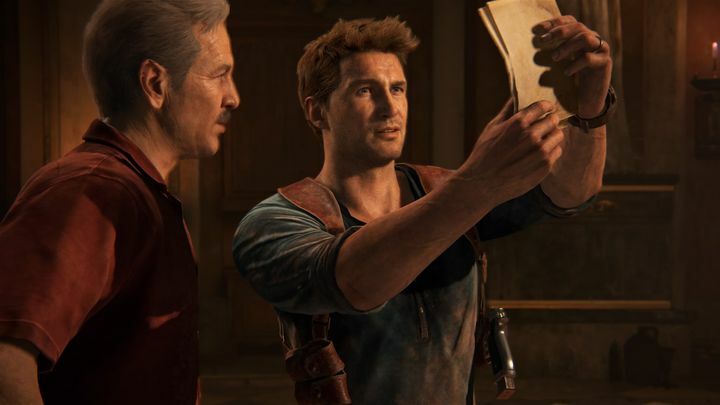 The movie’s writer also said that he had met with Amy Hening (who directed the Uncharted: Drake’s Fortune video game), Nolan North (who is the voice actor behind the game’s protagonist Nathan Drake) and Neil Druckmann (who was Uncharted 4’s creative director) to discuss his ideas about the film, and that the trio had shown approval during this meeting. But still, it would not be a good thing if this Uncharted movie ended up in development hell and was never released, as it could turn out to be a good movie that might change people’s opinions about the video game genre, as most video game movies have simply not been very good to date… So here’s hoping this still-in-the-making movie remains on the right track, and that a release date is announced for it soon enough.